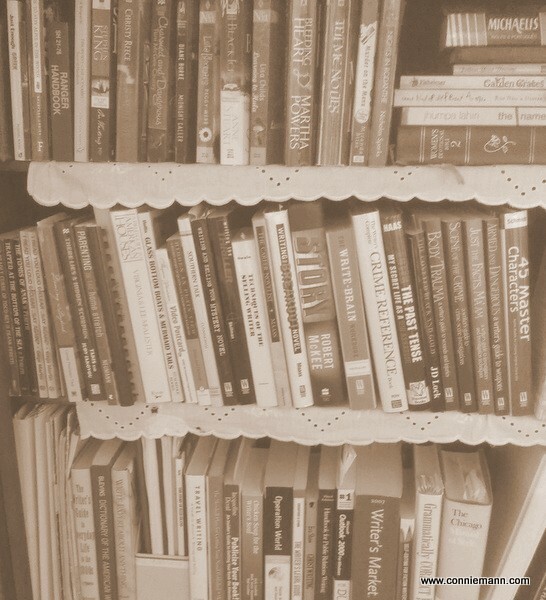 Survey: How Do You Buy Books? Today’s publishing world is changing, no question. E-books, especially, are having a big impact on how readers interact with books. But with so many opinions and statistics flying around, I decided to conduct my own survey right here. I want to know what YOU think. How do you buy books? Would you take a minute to answer the questions below? To thank you for your time, I’ll be giving away a FREE print copy of Angel Falls to one lucky commenter! Would you pass this link along, too? I’d be thrilled to get a ton of opinions. Q: Where do you buy your books? Q: How do you choose your books? Q: Do you prefer to read print or e-books? Q: Do you look to see who the publisher is? Q: If you downloaded a free copy from an author and loved it, how likely are you to buy other books they’ve written? Q: If you watch book trailers, do you prefer movie-style or author-interview style (aka Angel Falls style) trailers? Please leave your answers in the comments, with my heartfelt thanks. On Friday, one lucky commenter will win a FREE copy of Angel Falls (print, US only). Stay tuned…I’ll compile the results and let you know what I learned! Thanks so much! looking froward to your results! 2. Mostly by author. Some from recommendations. 3. I like print books but I will do ebooks to save money. 4. I both recommend to friends and lend to friends. 5. I love finding new authors to read and yes I will buy a book after getting a free one. 6. I rarely watch trailers. 7. The few that I’ve watched do have an influence on whether I’m interested or not. If I’m buying online, I’ll buy from Amazon. If I’m buying from B&N, I’ll buy from the local store. Recommendations. I check John Scalzi’s “The Big Idea” blog posts where authors write short essays about the big idea behind their book. If the big idea sounds intriguing, I’ll put the title on my “to buy” list. Do you look to see who the publisher is? Sometimes. Usually to see if it’s a publisher who might be interested in what I write. I’ll leave a “stars” on Goodreads, but I don’t write reviews. I don’t have time and I read too many books. If you downloaded a free copy from an author and loved it, how likely are you to buy other books they’ve written? I will absolutely buy other books they’ve written if I love the freebie. If you watch book trailers, do you prefer movie-style or author-interview style (aka Angel Falls style) trailers? I don’t usually watch book trailers. Cover copy looks interesting, the book’s cover is intriguing, and I like the sample chapters. Also, if I’ve read and like another one of the author’s books. Usually, but it doesn’t matter to me. I’ve read some excellent self-pubbed books and some (not all, of course) pitiful books published by Christian publishers. Unfortunately, I don’t do any of the selections as written, except I have made positive comments on Goodreads, and I do plan to start writing reviews on Amazon. Don’t watch them — Watched one once, but haven’t watched another one. It seemed like a waste of valuable time and didn’t influence my purchase of the book one way or the other. (1) Online-Amazon, Christianbook. Mostly online but some at local Lifeway store. I’m not someone whose answers fit well in a box, so I’ll just write them out. 6 – I’ll look at a friend’s trailer. Otherwise I have little interest. I buy books all those ways, including getting them at libraries. I choose my books almost exclusively by author. Not that I know them, though sometimes I do, but by if I like the author. Secondarily I buy by genre. I never buy by publisher. If I like a book I talk about it. I post some Amazon reviews but not many and mostly for author friends. I love trailers but I don’t think I’ve ever bought a book because of one. These answers are wonderful!! Thanks so much, everyone! Keep them coming…this is SO helpful! 6. Movie style trailers that draw me to be intrigued with what’s next. I buy my books Online, Retail, Big box stores, Used bookstore, and also check them out from my church library and the local public library. I choose books by all of the options listed. I read both but prefer print books. I always check to see who the publisher is. When I like a book I will buy it for a friend, recommend it, and promote via social media. I have yet to review a book but would do so. Book trailers are ok but I will watch both. If I were to download a free copy of a book and liked it I would definitely buy other books the author has written. 2. -1,3 and 4 is what initially draws my attention. 3. -I always prefer holding the printed book to read. 4. -Doesn’t matter to me. 5. -1 and 2. I don’t write many reviews unless there’s something specific I want to make note of, but I always rate the book. 1. I buy mostly online now that our Christian bookstores have closed. 2. A book cover draws me in, and then I read the back to see if it’s something I’d like to read. Otherwise, I purchase based on knowing the author. 4. Yes, I look to see who the publisher is. 5. If I like a book I recommend it to friends and sometimes loan them my copy. I write reviews for authors I know. I also give a shout on social media. 6. Very likely. If I like a book, I’ll look for other books written by that author. 7. I like book trailers and will watch them, but I don’t know if they effect my buying decision. By that point, I think I’ve already purchased the book and go to the author’s website. I like both movie-style and author interviews. I buy books from all of the above places you mentioned and I check them out of libraries. I always look to see who the publisher is (as both a traditionally published author and an independently published one, this is important to me). I will write a review, especially if an author asks me to that. I will also recommend books to friends and every so often purchase books to give. If I like an author’s book, I want to read more by him/her. Sometimes I watch book trailers and like all kinds as long as they don’t make me squirm too much. And I will forever love the smell of print books. I am one of the few authors who does not own an e-reader and sorta proud of my unconforming ways! Hey, this survey was fun! I buy mostly from cover copy and yes, I do pay attention to reviews. I have chosen not to buy even a popular author that I may have read before if there are too many avg to below avg reviews. I really enjoy both print and ebooks so its hard to choose. I always check out the publisher when buying ebooks. If its not a publisher I recognize I get a sample of their work before buying the book because unfortunately there are many ebooks that are unquality and get thrown into the mix with some of the fabulous ebooks I’ve had the pleasure to read. I usually will recommend a good book. I have just started writing reviews. Once I find an author I like I frequently look for other work they’ve done and watch for future books. Trailers don’t affect my buying decision at all. I prefer the movie trailers to the interview trailers. The movie trailers tease you and I think sometimes the interviews give too much of the book away. I am LOVING these peeks into your thought processes!! Thank you so much!! 1. Mostly online, but also in local and used bookstores sometimes. 4. Always, but I’m in the industry, so that probably influences my behavior. 5. All of the above! 6. Fairly likely. If I like one book from an author, I’ll probably like the others. 7. I like them. I don’t see a lot of them, though. 8. I like them both. Interesting survey, Connie. Made me realize some things about my buying preferences that I don’t know before! 3) Either E or Print. It doesn’t matter. 4) I sometimes look who the publisher is especially if it is a YA novel. 8) I prefer the movie style as it catches my attention more strongly. 1) I buy everywhere and anywhere that sells books. 2) I choose based on all reasons listed. 4) I usually check the publisher, but just because. Not to decide whether to buy. 5) I review, share on Facebook, email the author, post on Amazon, tells reading friends. And will loan on occasion. 6) If I love your book I am a fan for life. If I got it for free will go out and buy just because, if I really, really loved it. 7) Don’t really watch book trailers. Would rather have good back cover copy. 8) If I watched would prefer movie style. With REAL acting and not just stills and read copy. 2. By author or review. 3. Ebook, almost exclusively now. 6. If I get a free book and like an author, I do buy other books by that author. I have found new favorite authors and series that way!! 7. Don’t bother with book trailers yet. 2- I either know the author or it’s a book by a “big” name I’ve read for years. 4-I’m still a bit leery of self-pubbed books unless I know/know of the author. Otherwise, it doesn’t matter who the publisher is. 5-If I like a book, I post reviews, promote on social media, and tell friends. Before I became a writer, I used to lend paperbacks. I don’t lend books any more, mostly because I read ebooks now. 6-Not that I have a lot of free time to read any more, but if I love a free book, I will buy/read/recommend another book by that author. 7-Love book trailers. If I’m unsure of a book and there is a trailer, I will watch it. 2-None of these–Mostly, I look for a “type” that I”m in the mood for. 1. I usually buy on-line for my Kindle or Nook, but if I buy a hard copy, it’s from a local bookstore, Lifeway. 2. I choose a book by the information on the back cover and the first page. The cover sometimes plays a part. 4. Self-pubbed books depend on the author. Otherwise the publisher is secondary. 5. Reviews are posted for books I really like and my library has become a lending one of sorts for my friends. It helps them choose auithors they want to know better. They will buy the next book in a series if they enjoyed the first one. 6.I enjoy free books and get a number of them from friends. I’m always recommending books to friends, and just recently I did buy the first and third in a series after starting the middle one. 7. Book trailers are nice, and my publisher has done several for me, but they don’t really influence my choices. 8. I prefer movie style trailers although I’ve seen several well-done other types. 1. I buy a lot from local bookstores and Amazon. I also read from the library. 2. I tend to find an author I like through cover and back blurb, then read everything they write. 3. Print books, but I read both. 7. Don’t affect my buying. A poorly made trailer might turn me from buying a book though. I am learning so much just reading the responses! Thank you, thank you for taking the time to answer the questions!! When I like a book, I at least give it a star rating on Amazon & Goodreads, even if I don’t do a full review. If I get a free book and it’s great, I will absolutely read other books by the same author. I am indifferent to book trailers. They don’t affect my decisions. Movie-style book trailers are better for novels; author-interview style for non-fiction. 3. I prefer to hold an actual book in my hands. 3 – I love both; ebooks are easy to carry and read, but there’s nothing like the feel of a real book. 4 – Never as a criteria for purchase, sometimes after to see if it’s a publisher that might publish my book! 6 – If I loved it, yes I would purchase a book from them. 7 – Don’t really look for them. I have a book trailer for Gold Earrings, but I can’t say that it has caused anyone to buy my book. 8 – I wish trailers were long enough to do both, somehow. I have an interest in knowing the author, but that wouldn’t be flashy enough to grab someone else’s interest. A: I prefer print, but I read e-books. A: Recommend to friends; sometimes I write an online review. A: I enjoy them but they don’t affect my buying decisions. A: When I do watch trailers, I prefer movie style ones. Maybe it’s the fan fiction roots in me, but I like to see the author’s vision of the characters. 7. Trailers don’t affect my buying. 1. On-line is the obvious choice for my Kindle, but I’ve been buying print books on-line alot lately too, and having them delivered. 2. For Kindle I’ve been downloading a lot of free books lately in an effort to find a new favourite author. Print books I tend to go with the authors I know and love. 4. Unfortunately I have to say I never looked until I got my contract, now I try to look for books by authors who also publish at Wild Rose Press. 6. Very likely. 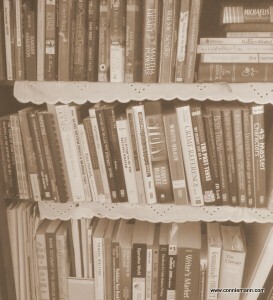 I’ve got 3 groupings on my Kindle “read and loved”, “read, not bad” and “read didn’t like”. That way I’ll remember who I liked and will go back for others. 7. Don’t usually watch them…besides, I like to imagine the people in my own frame of mind. 8. I don’t watch them enough to comment. 6. I don’t have an ereader,so don’t download free books. But, I always look for authors I love. 8. I think I would prefer to read an author interview. I like Q & A.